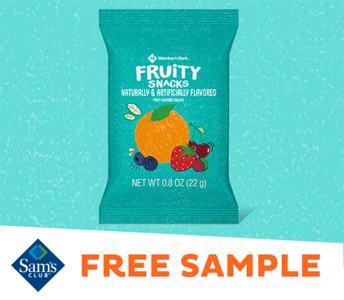 To get a FREE Member’s Mark Fruity Snacks Sample at Sam’s Club Check the Find a Freeosk page to see if your Sam’s Club is participating. If they are, visit the Freeosk Sample Booth at your store to get FREE Member’s Mark Fruity Snacks Sample. FREE at select clubs, starting March 8, 2019 while supplies last.